If you want too get an offensive line coach riled up start messing with his pass protections. Sure, they all love to talk about running the power and getting movement and pancakes but protections can be just plain hard. 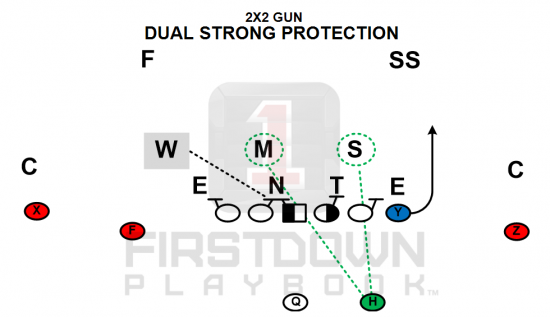 Not only do you have to take into account the scheme involved but your personnel can often times be anything but suited for what your offensive coordinator has in mind in the pass game. 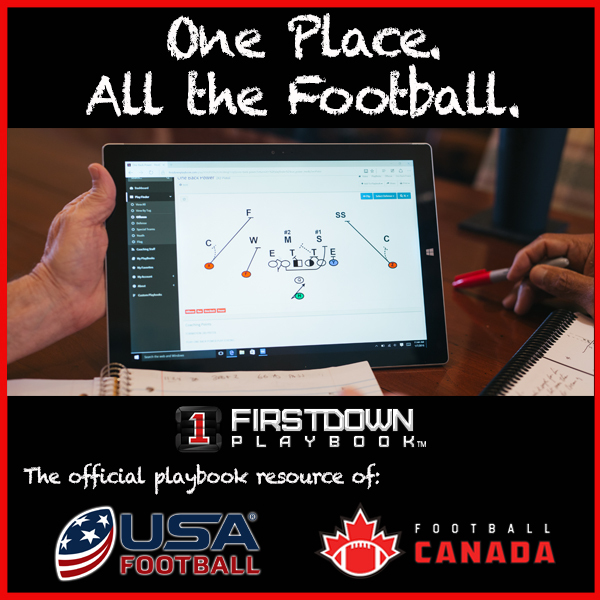 FirstDown PlayBook has a pretty extensive background with the offensive line and coaching those guys so we can definitely appreciate an offensive line coach and his challenges with protecting the quarterback. When we first installed the Varsity pass protection section we realized right away that we would need to treat it just like we did the run game. What we mean by that is we were going to need to draw the pass protections up vs multiple fronts AND we were going to need to take the offensive formations into account as we drew the protections. Any offense line coach will tell you that a 2×2 formation gives you a whole different set of protection problems than a 3×1 formation does.